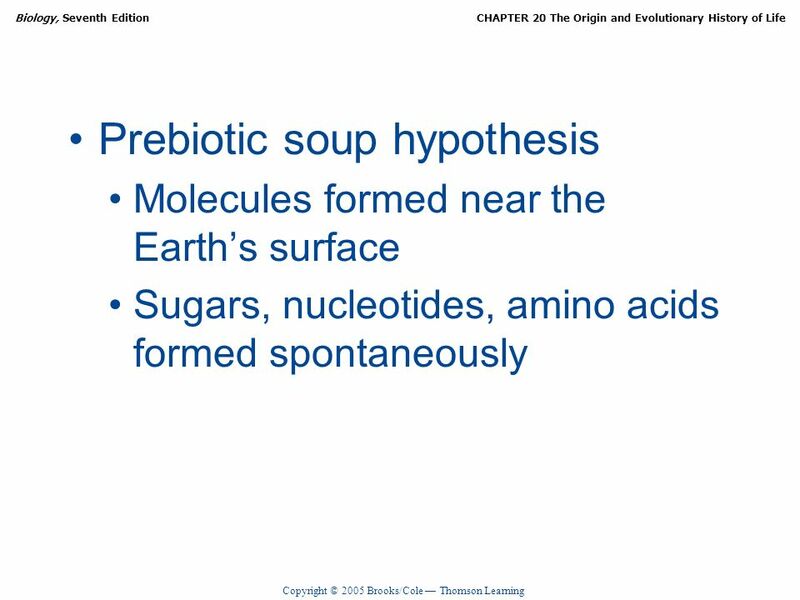 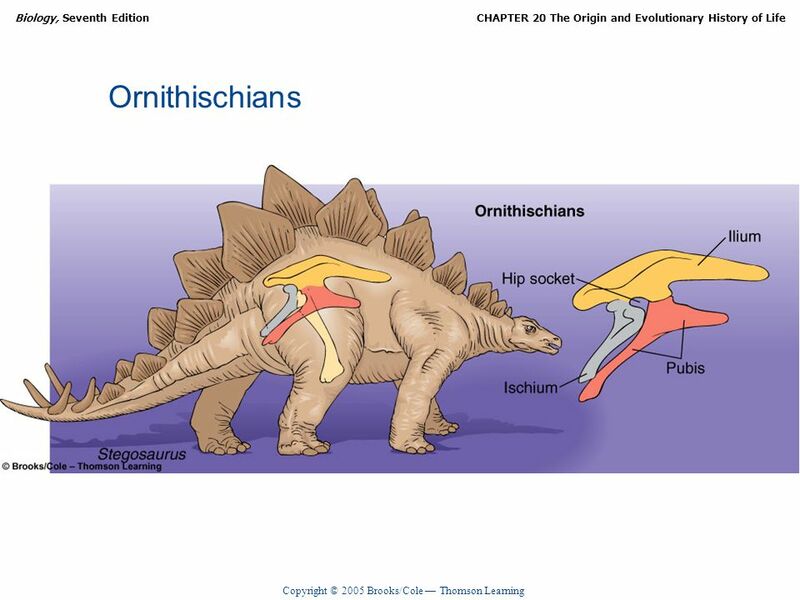 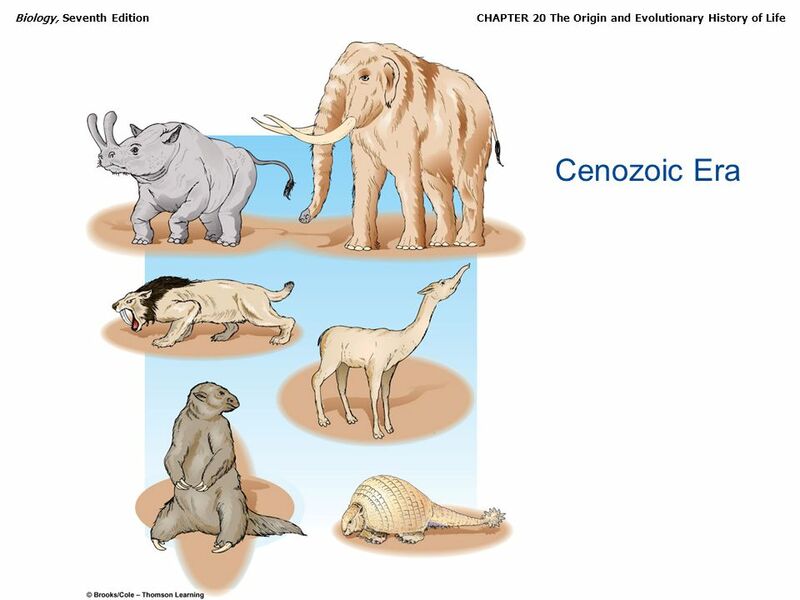 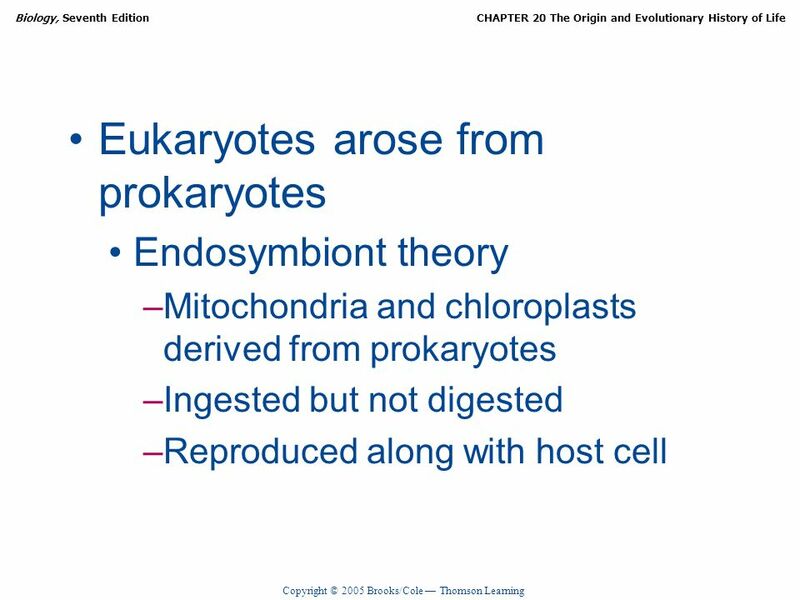 Copyright © 2005 Brooks/Cole Thomson Learning Biology, Seventh Edition Solomon Berg Martin Chapter 20 The Origin and Evolutionary History of Life. 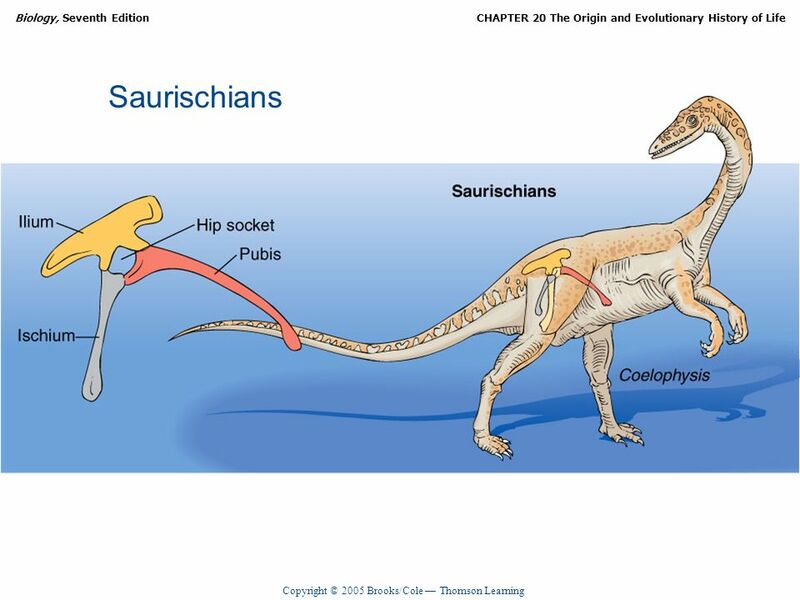 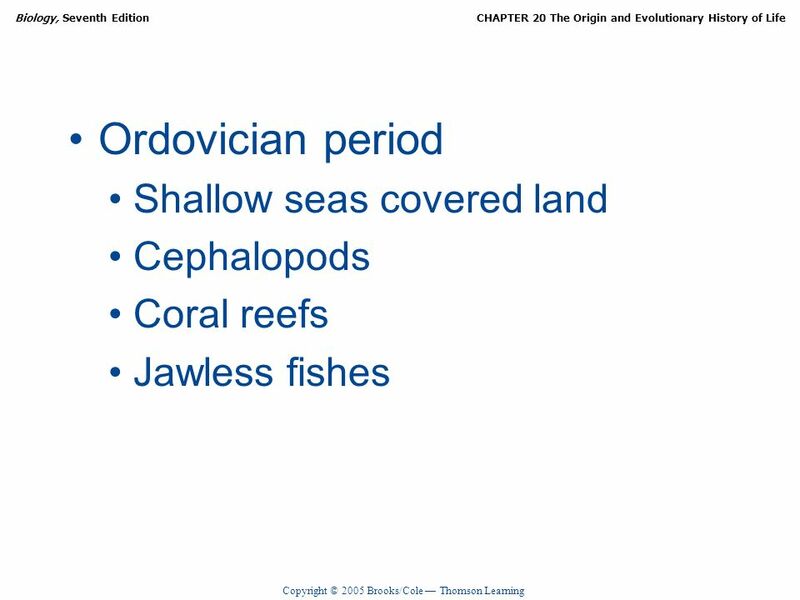 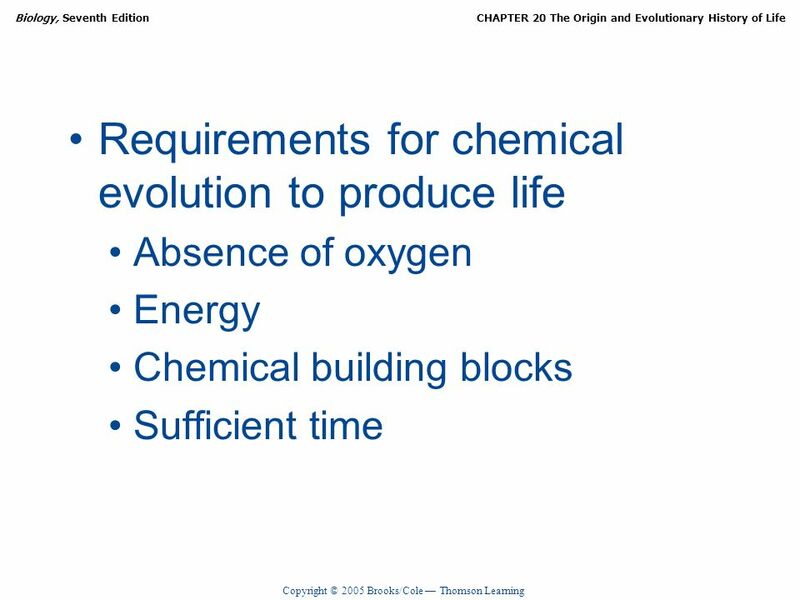 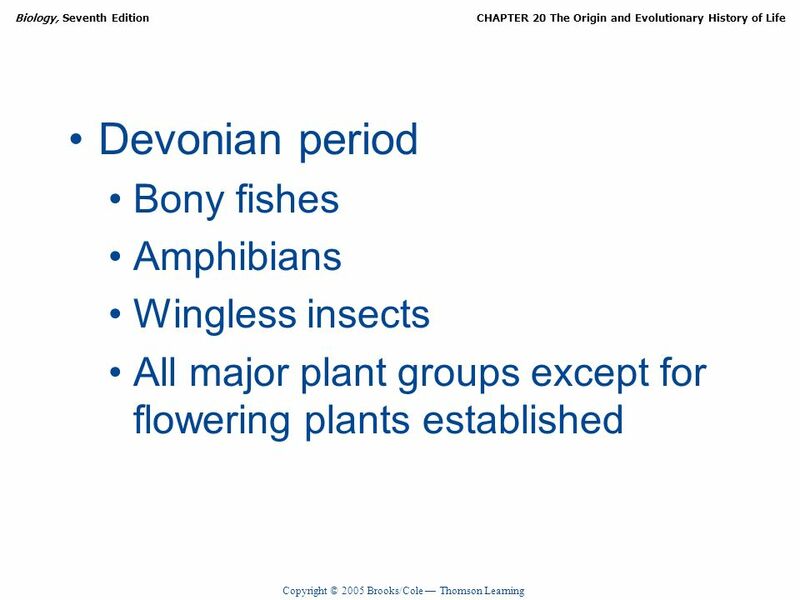 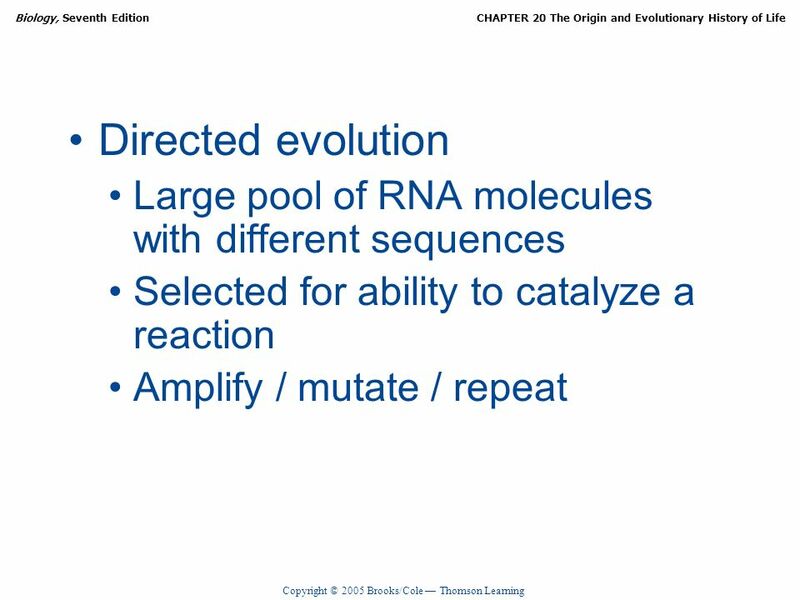 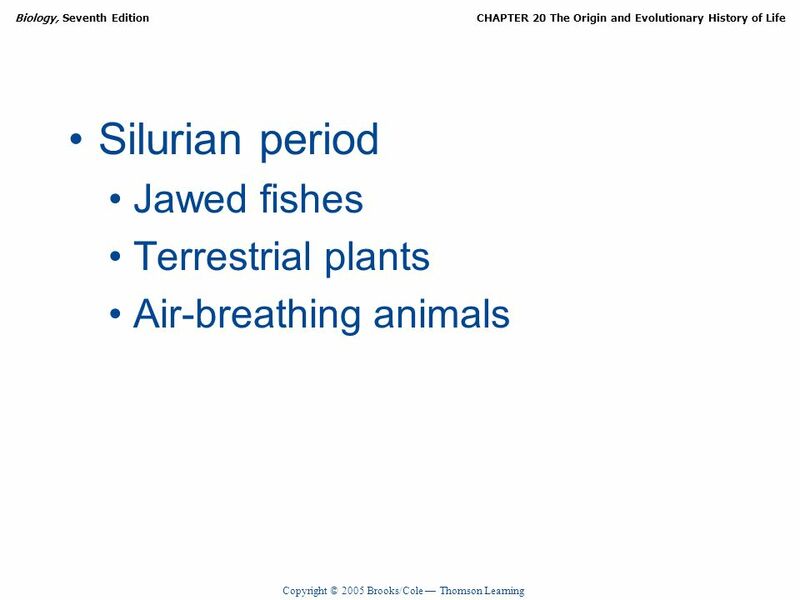 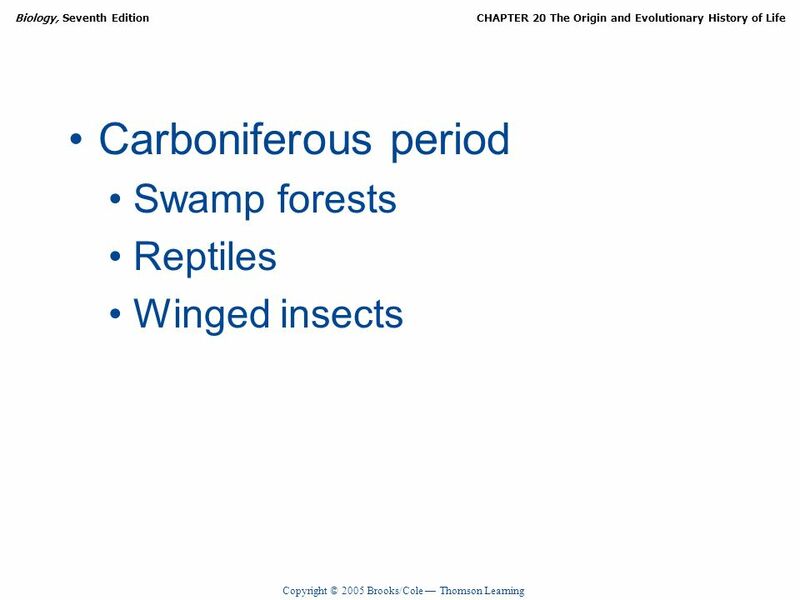 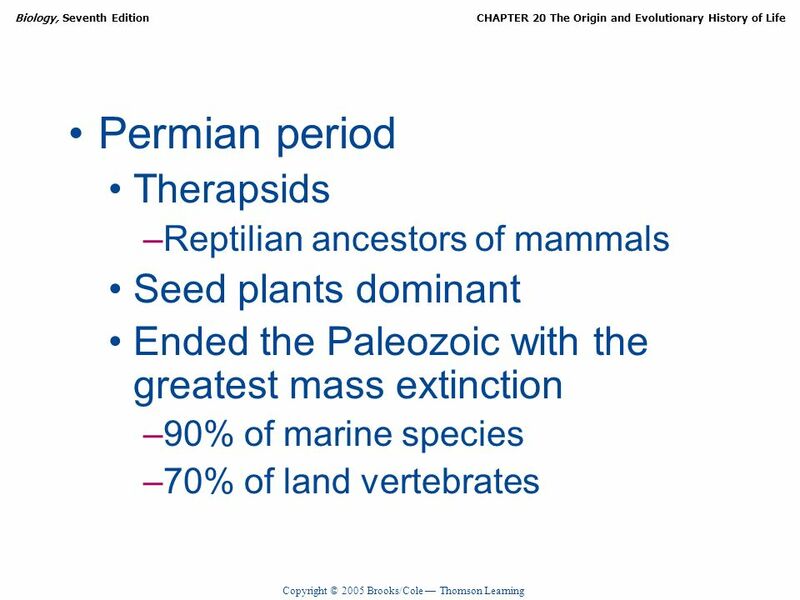 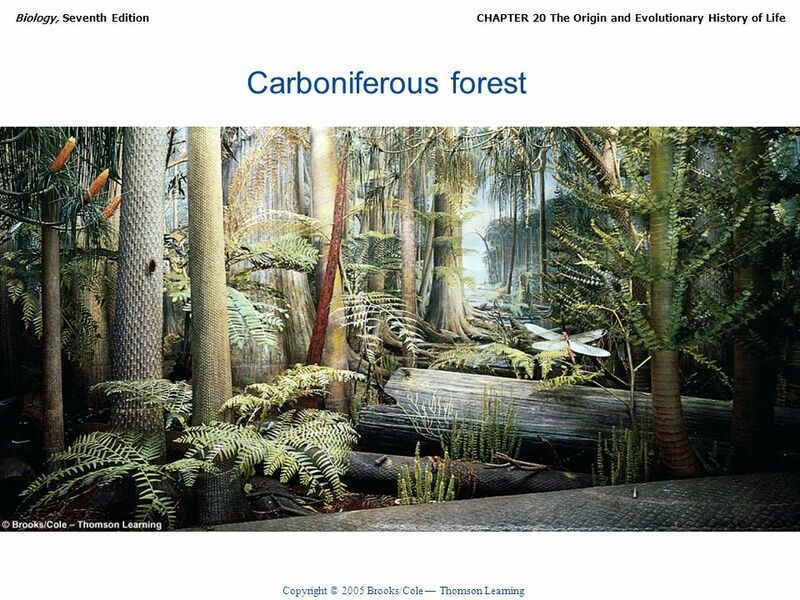 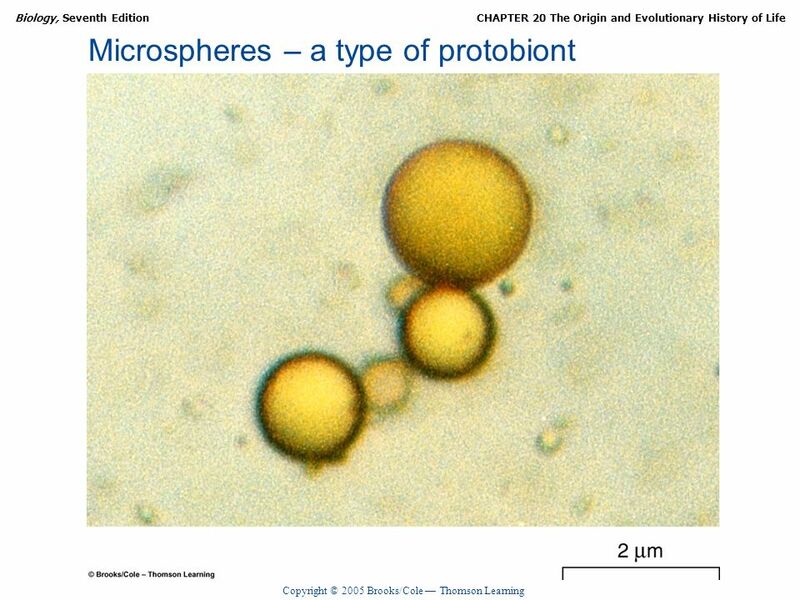 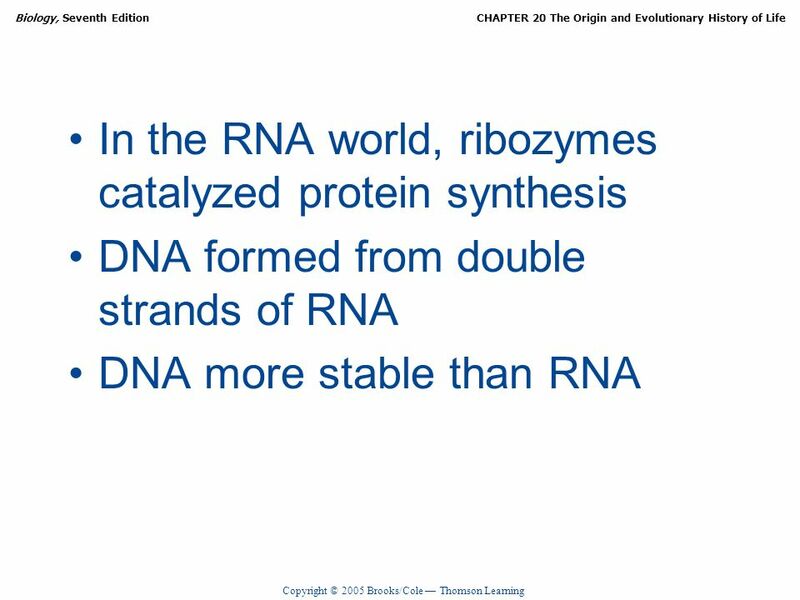 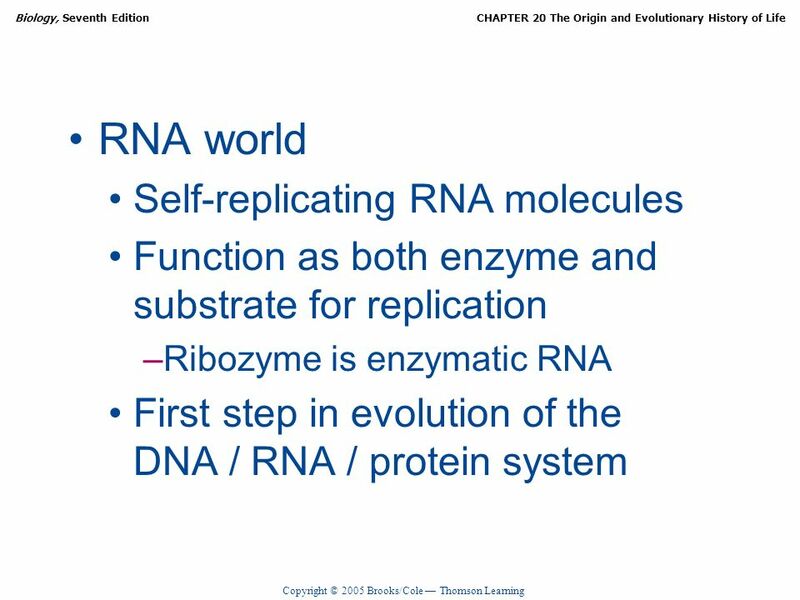 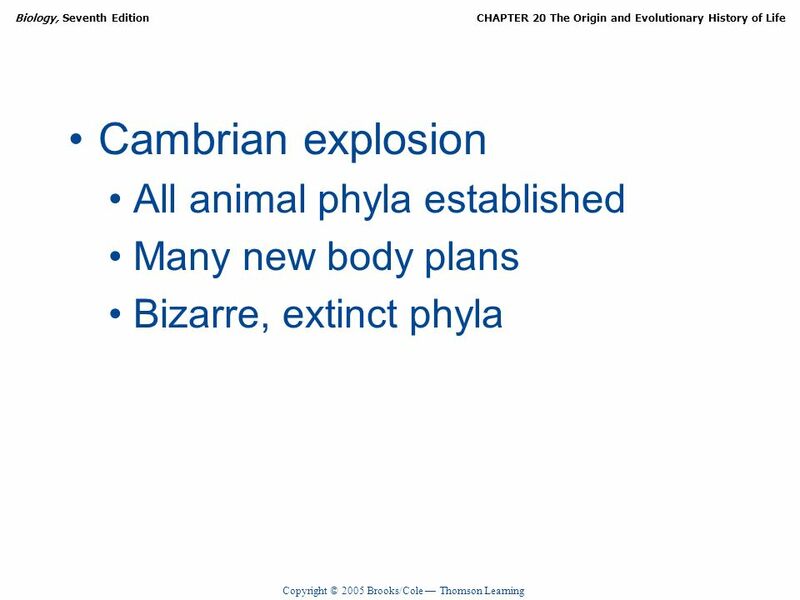 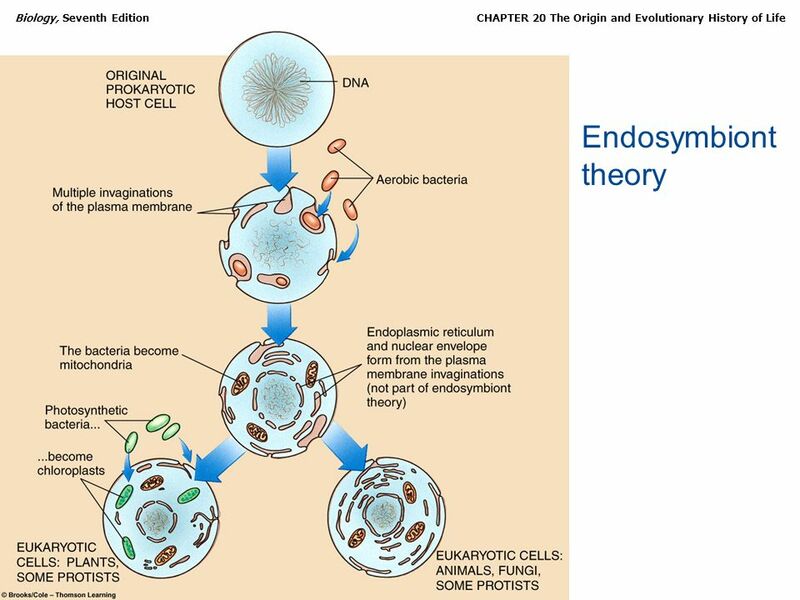 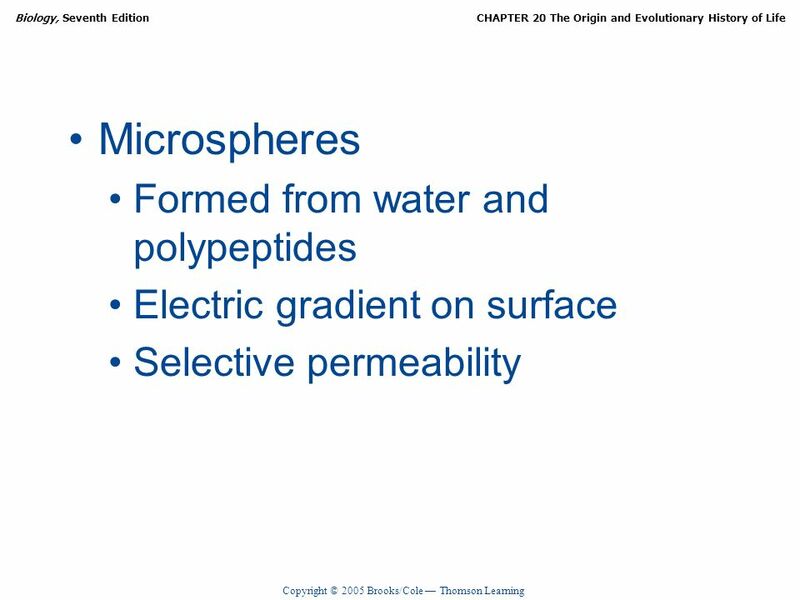 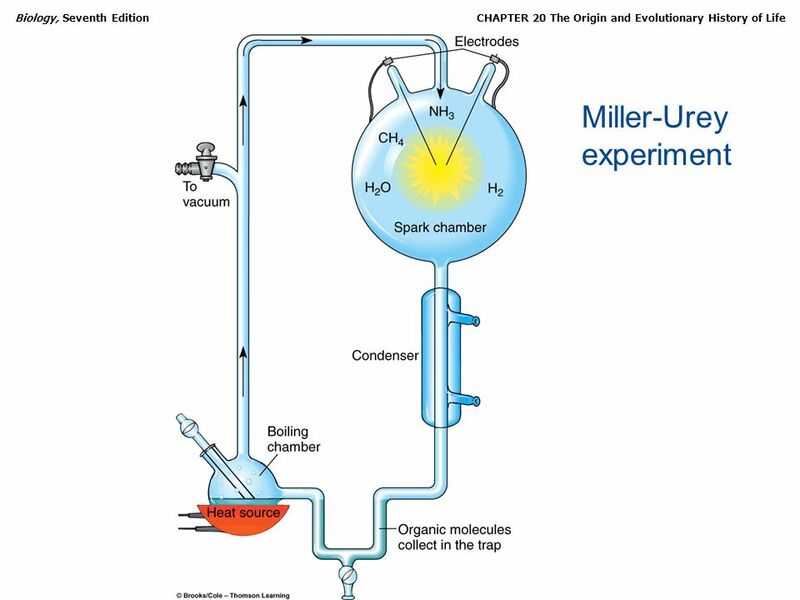 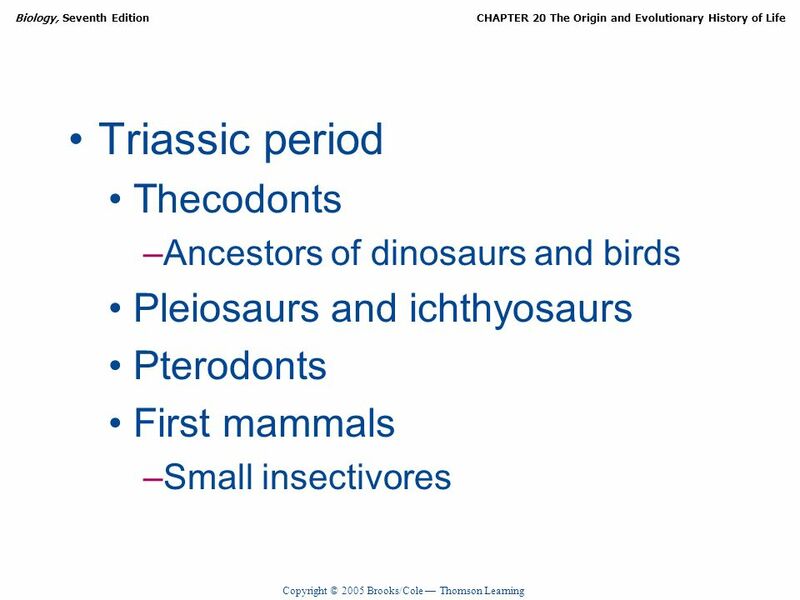 Download ppt "Copyright © 2005 Brooks/Cole Thomson Learning Biology, Seventh Edition Solomon Berg Martin Chapter 20 The Origin and Evolutionary History of Life." 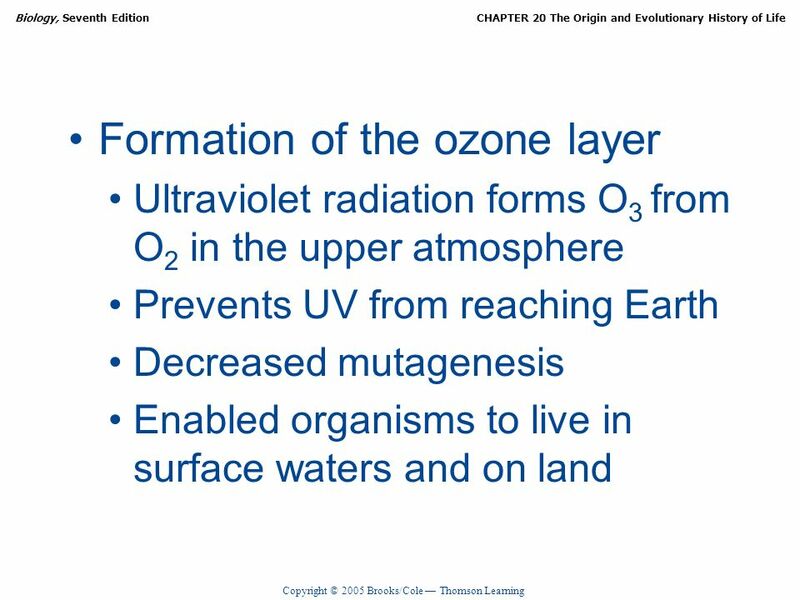 Topic D.1 Evolution Origin of Life on Earth. 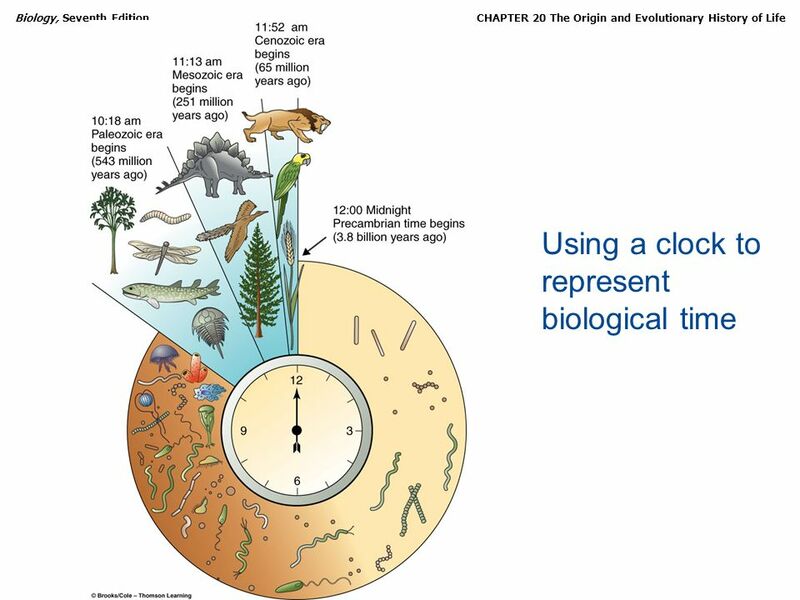 Geologic Time Scale Mr. Skirbst Earth Science Topic 25. 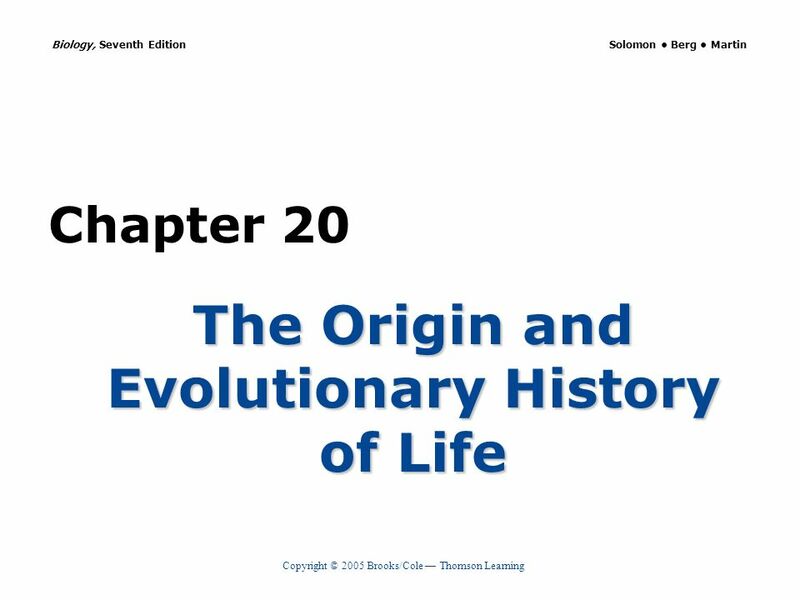 Early Origins Chapter 19.1 & 19.3. 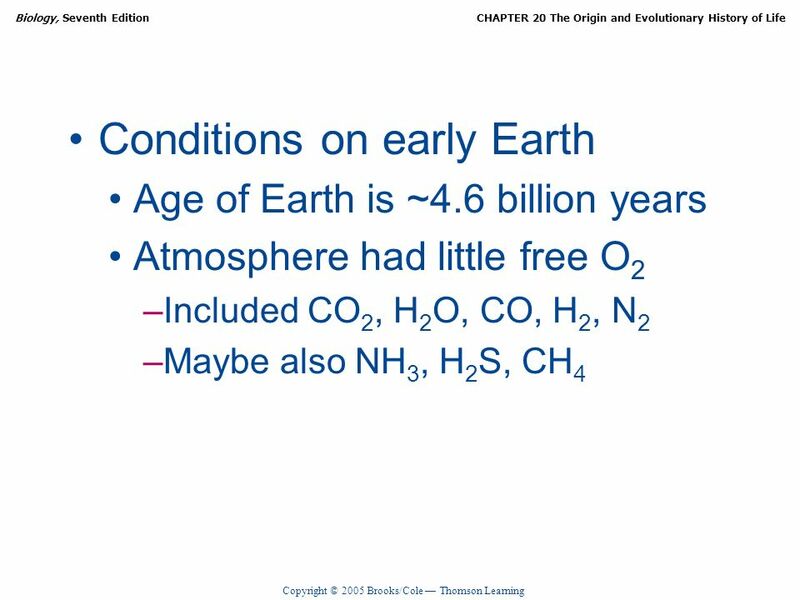 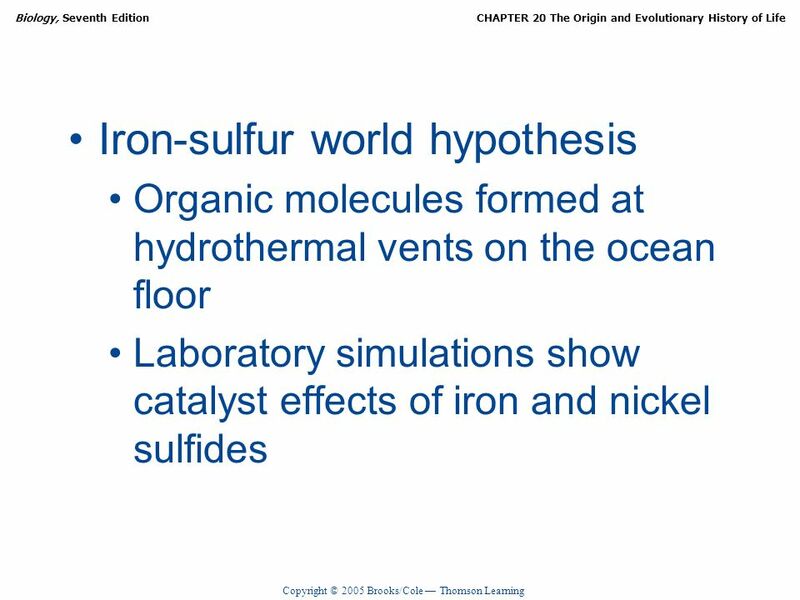 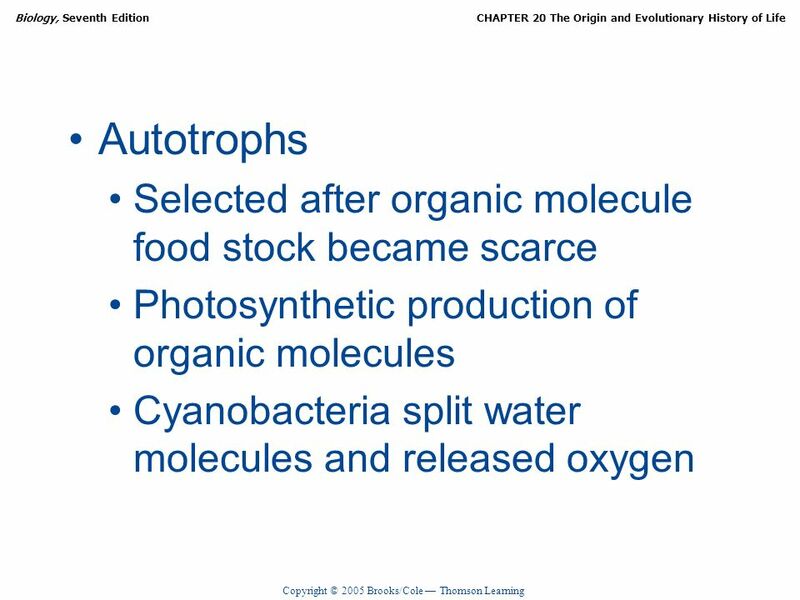 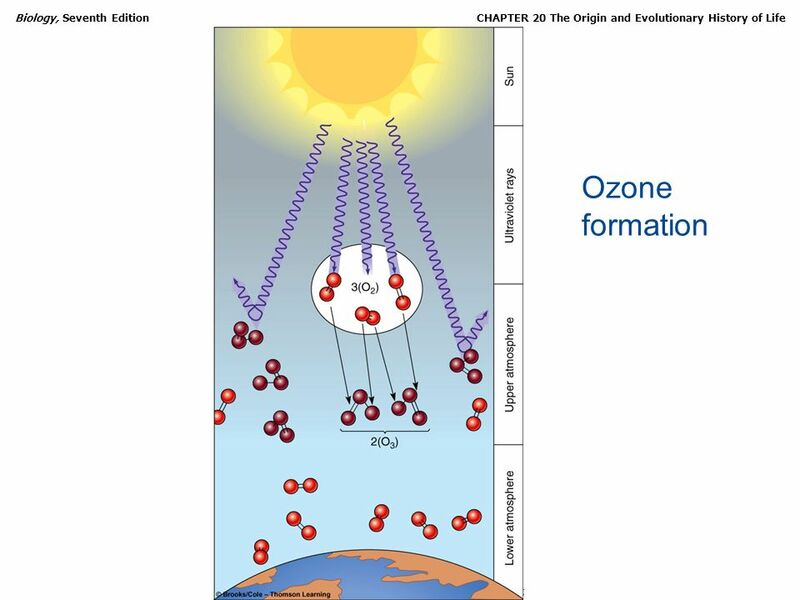 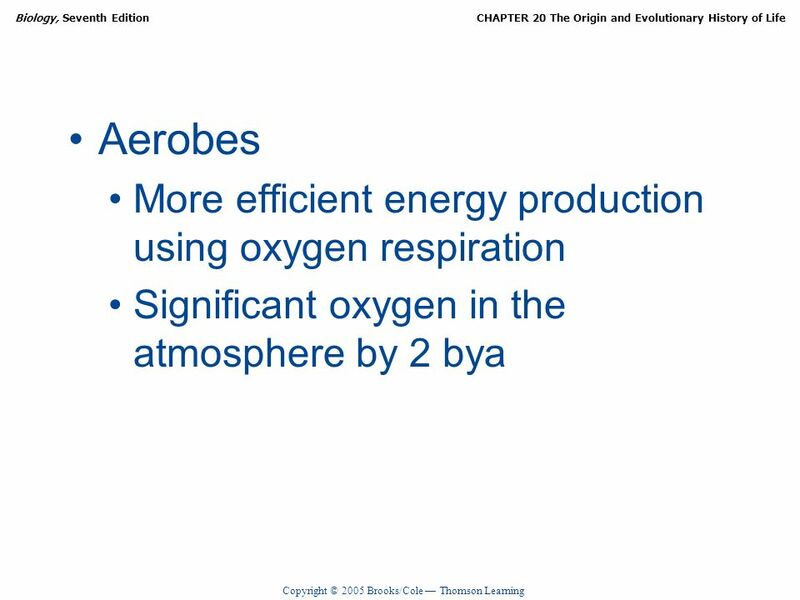 Precambrian Era (put these events in order) Photosynthetic Cyanobacteria (blue-green algae) create oxygen gas which began to form our atmosphere Oceans. 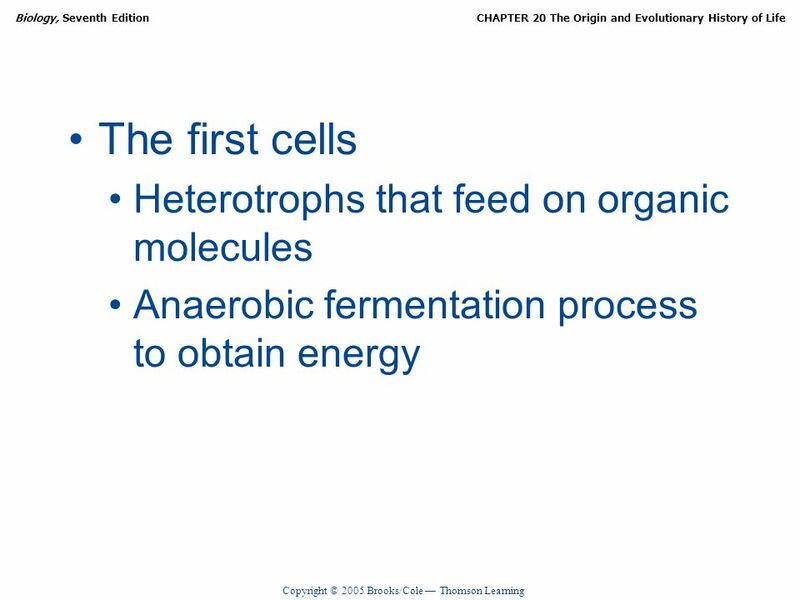 The History of Life Chapter 17. 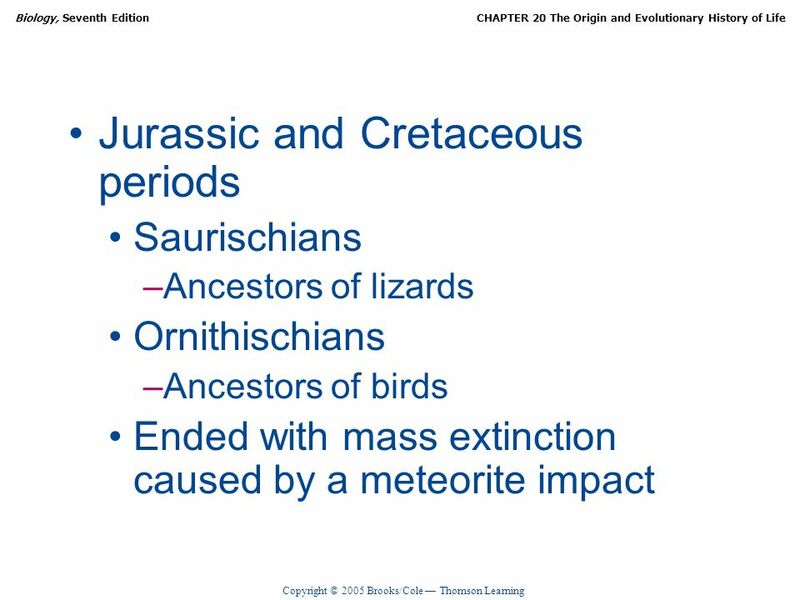 Fossils  Preserved traces and remains of ancient life. 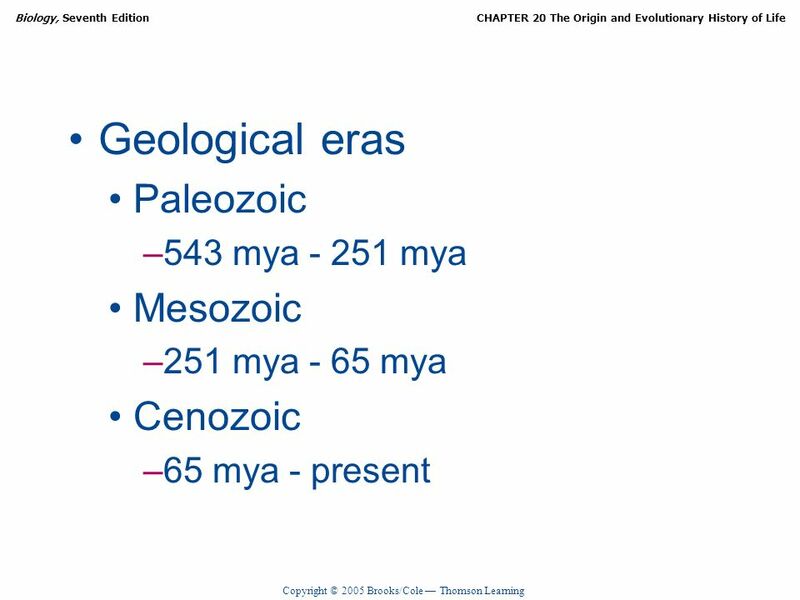 GEOLOGIC TIME SCALE. 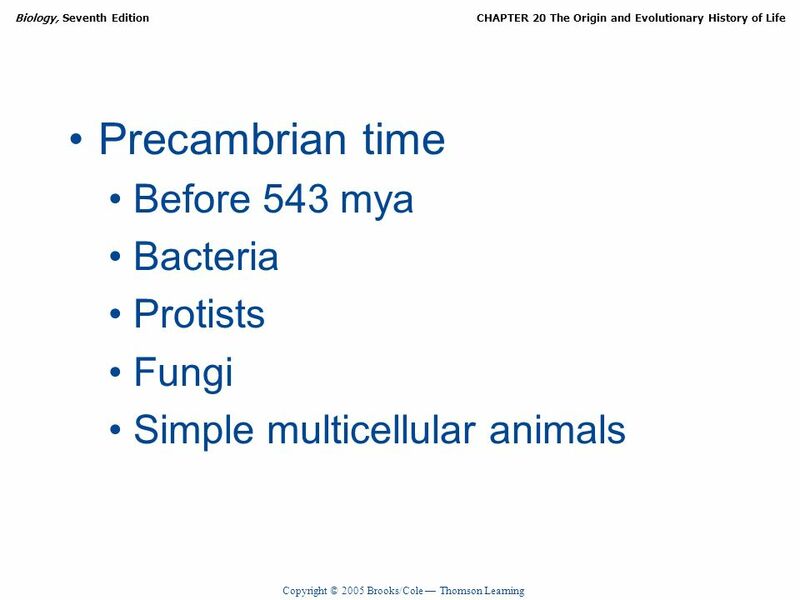 PRECAMBRIAN ERA  5,000 – 544 MYA. 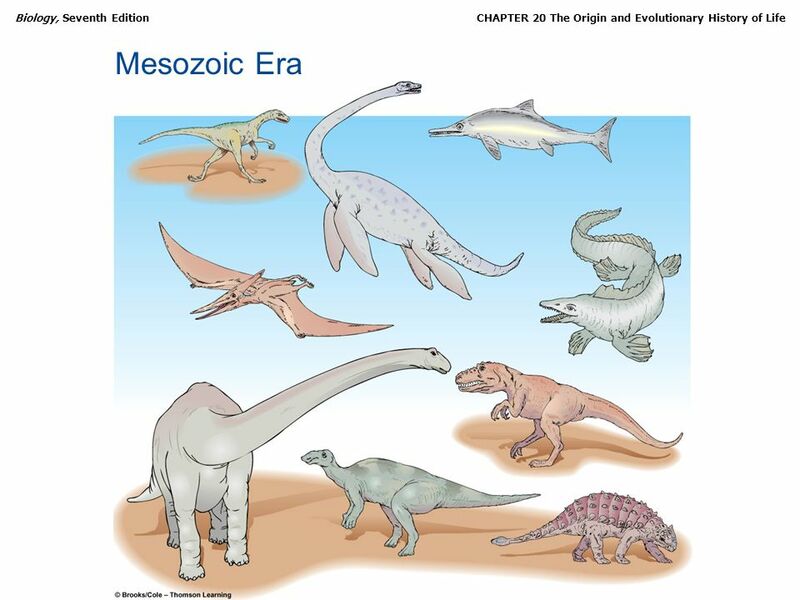  The beginnings of life, approximately 1,200 MYA. 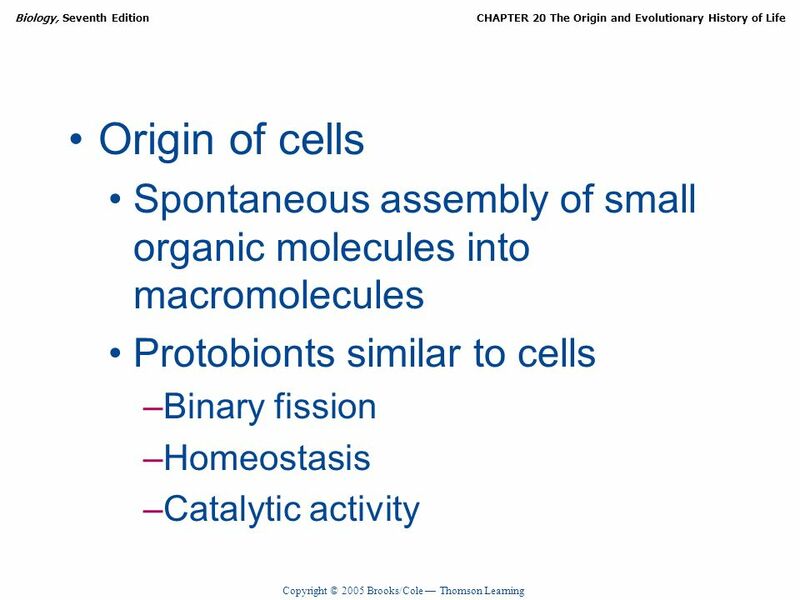  Single and multiple celled organisms- lived. 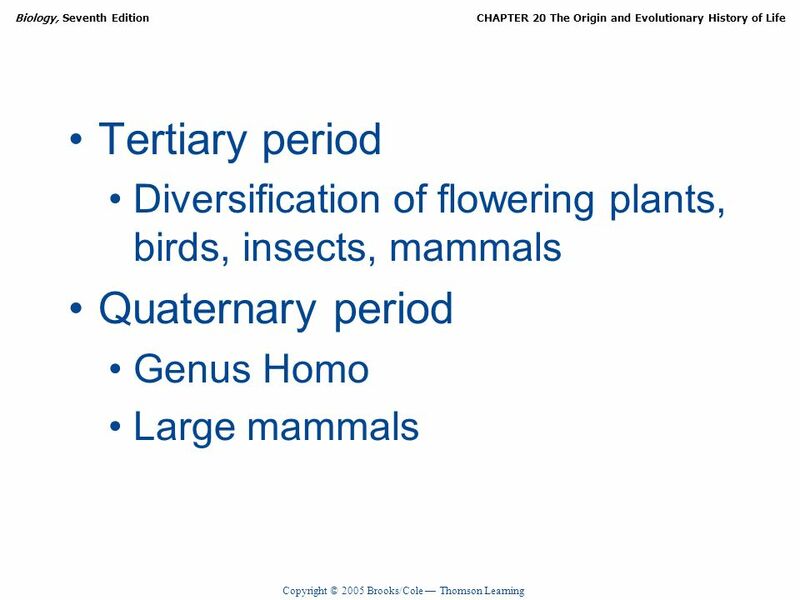 Speciation – process by which new species arrive. 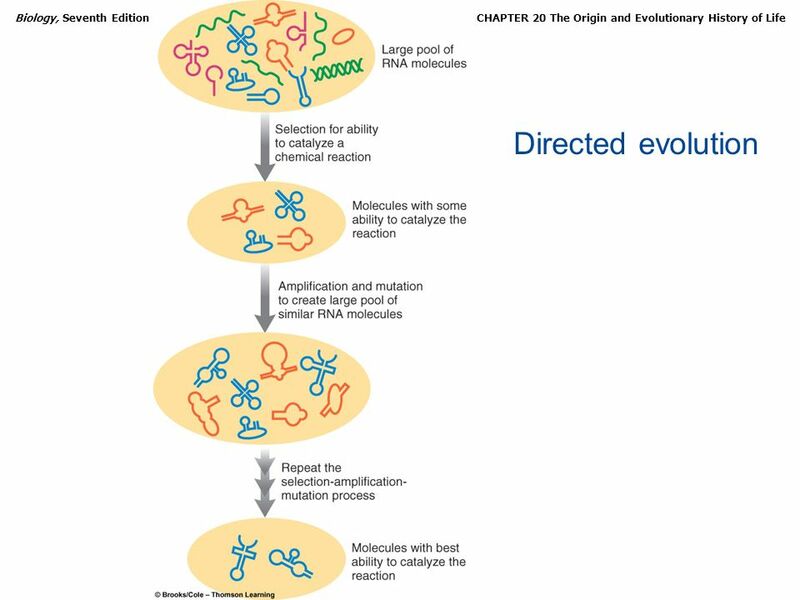 Macroevolution – evolution on a grand scale Adaptive radiation - evolution of many diversely adapted.